Aquaponics is a very good way of producing 100% healthy, tasty and sustainable food at home. It is a branch of permaculture and can be integrated with a classic garden to boost the production of the whole system. Aquaponics consist of producing crop in poly-culture which means that the crops are grown in an ecosystem. The 3 evident groups of leaving creatures in an ecosystem are the fish, the plants and the bacteria. The fish are fed and reject some nitrogen into the water under the form of Ammonia. The ammonia is then transformed by some bacteria into nitrite and then nitrate. The nitrate are consumed by the plants. By growing, the plants purify the water returned to the fish. This ecosystem is actually more complex as it evolve a multitude of other animals such as worms, insects, birds… that will help to break down the organic matters generated and offer a very wide range of nutrients to the plants. 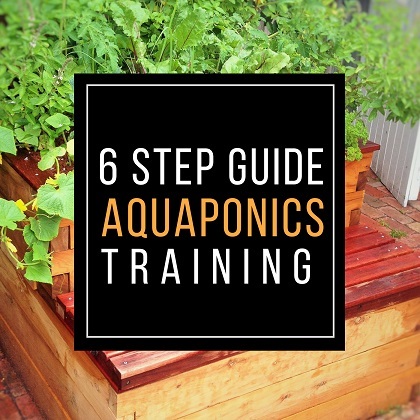 At Melbourne Aquaponics we share free videos as we believe that aquaponics should be spread everywhere around the planet. We should all be able to produce all or part of our own food and not being relying on a system that damage both the planet and the consumer. In this channel you will have access to a multitude of tips and videos to build your own aquaponics system and grow amazing food at home. It is amazing what we can do when we work with nature and not against nature. Let’s change the world together! Subscribe to the channel and let’s grow your own food in a sustainable way. The good thing with aquaponics is that you can start small and grow big. You can do it yourself and start with a very limited budget. You can slowly become more and more self-efficient. I am an aquaponics teacher and aquaponics expert willing to help everyone who want to know and use this amazing technique to grow some food in a sustainable and ecofriendly way.